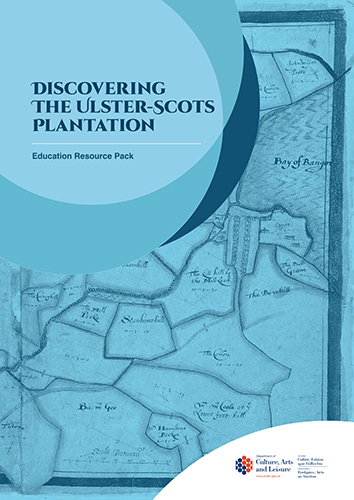 As part of the Discovering the Ulster Scots Archaeological Research Project, undertaken by IAC in partnership with AECOM and Northlight Heritage, an Education Pack aimed at Key Stages 2 & 3 of the Northern Irish curriculum was developed. 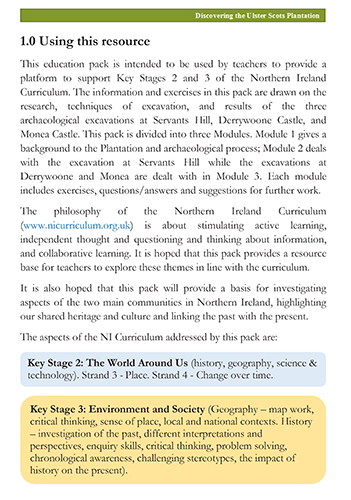 The Education Pack is designed to be used by teachers as a resource to explore themes of active learning, independent thought and questioning and thinking about learning, and collaborative learning. 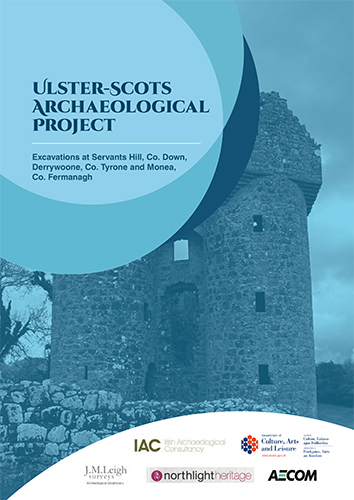 The information and exercises contained within the pack are based on the research and excavations of three Plantation-period sites; Servants Hill, Bangor, Co. Down; Derrywoone Castle, Co. Tyrone and Monea Castle, Co. Fermanagh. 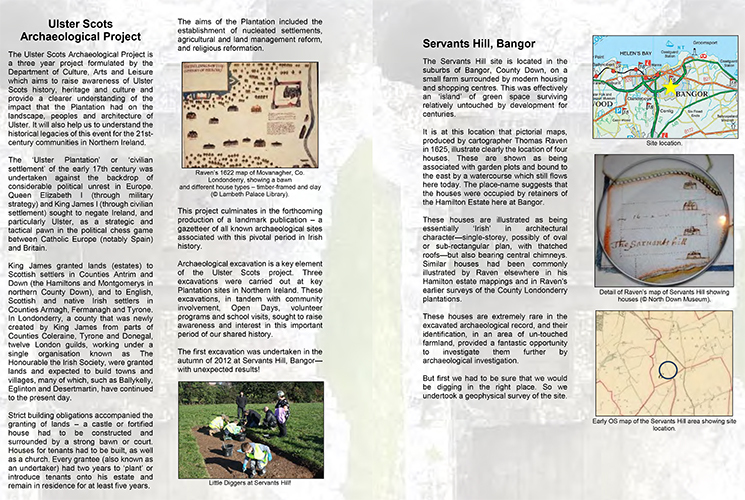 A General Reader was also prepared at this time for a wider audience providing a summary of the results of the three excavation seasons and community outreach elements. 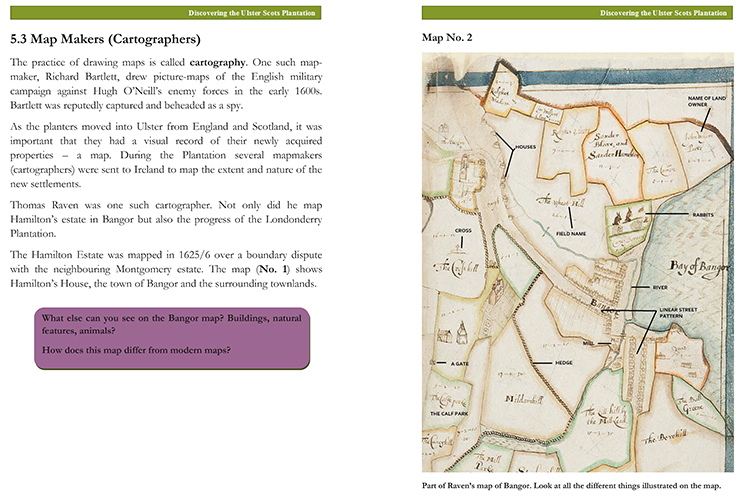 The Education Pack and General Reader were written and developed by Fintan Walsh & Christina O’Regan of IAC with assistance from Dr Heather James (Northlight Heritage), Nick Brannon, Maeve Tobin (IAC), Neil Macnab (AECOM) and Gerry Kelly. A copy of the Education Pack is available to download here. A copy of the General Reader is available to download here.